The NEW Jergens Lift-Check™ hoist ring assures that your application is secure and ready to lift. The Lift-Check™ is comprised of a Jergens' patent pending proprietary hex head cap screw which integrates the Visual Tension Indicator. Visual Tension Indicator confirms engagement - clearly illustrates whether bolt joint is loose or tight. 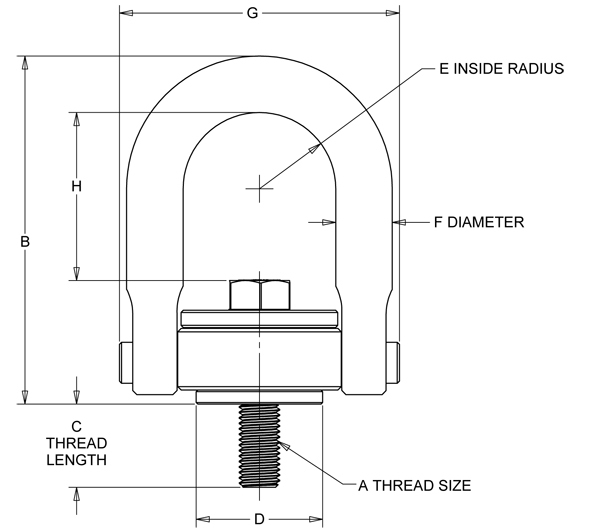 Ensures safety and provides accuracy of +/- 10% of designed tension. Hands-free inspection at a distance, prior to the lift. Reduces installation time, no torque wrench or calibration needed.